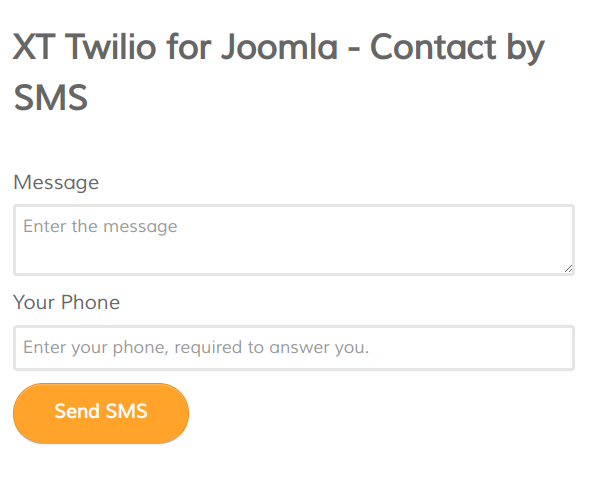 XT Twilio for Joomla integrates your site and Twilio. Joomla and Twilio are a perfect match to bring the possibilities of a first-level communication platform to small and medium-size organizations. Twilio is a Cloud communications platform that allows building blocks to add messaging, voice, and video in your web and mobile applications. FAQ: Do I have to buy the Twilio service?